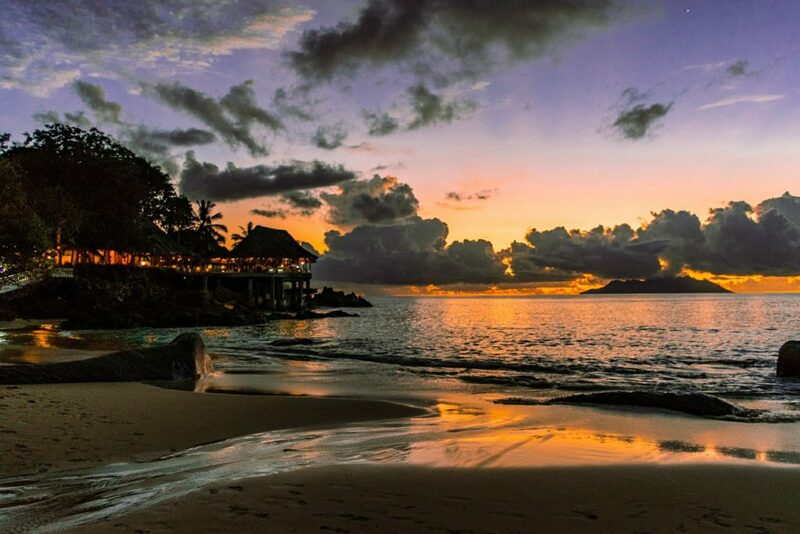 Mahe is one of the major islands of Seychelles and is undoubtedly the biggest one too. If you wish to enter Seychelles then you will need to land at Mahe and then make your way to the other islands which are a part of Seychelles. While I might not describe it as the most gorgeous island in Seychelles (La Digue would be the clear winner here! ), it certainly has more activities for travelers to indulge in and places to visit. With the help of this guide, you can explore Mahe to the fullest and can be sure not to miss out on an amazing experience. 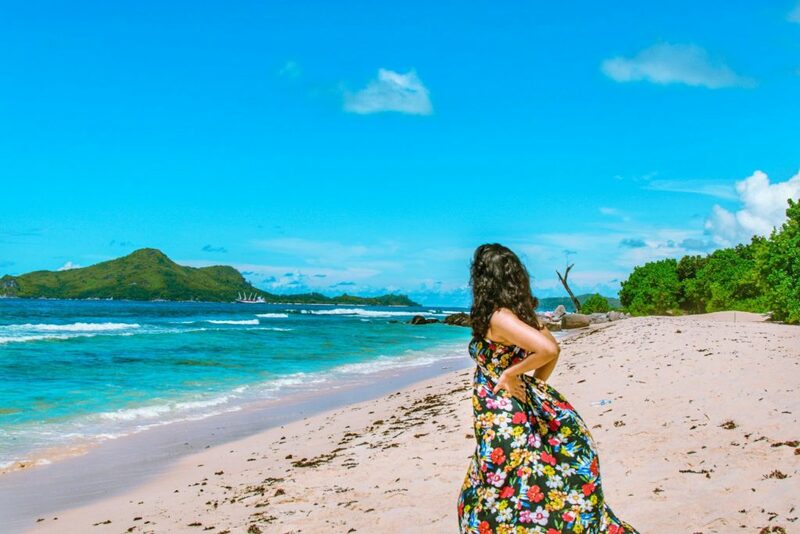 One of the best things about Seychelles is that you don’t need a Visa to enter this gorgeous country. Yes, you heard me right! 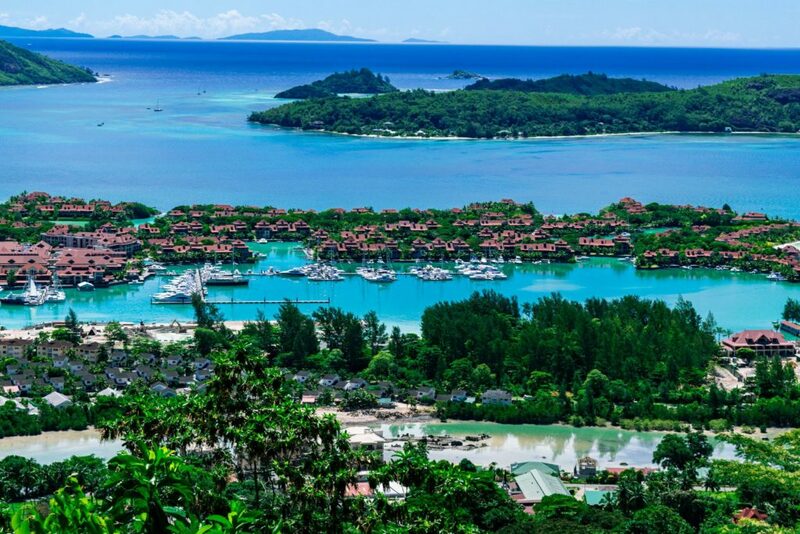 Seychelles is a visa-free nation and you require just a visitor’s permit to enter this beautiful country. If you fulfill the above criteria, then you will get your permit during immigration in just 10 minutes. You can further extend your visa for 3 months, free for the first time, and can get it extended for max a year. When you are leaving the country, make sure that you don’t take back any corals or Coco De Mer in your luggage because it is illegal to do so. You can purchase them and take it back home but you can’t pick it up from the road or the beach and try to sneak it past the customs. 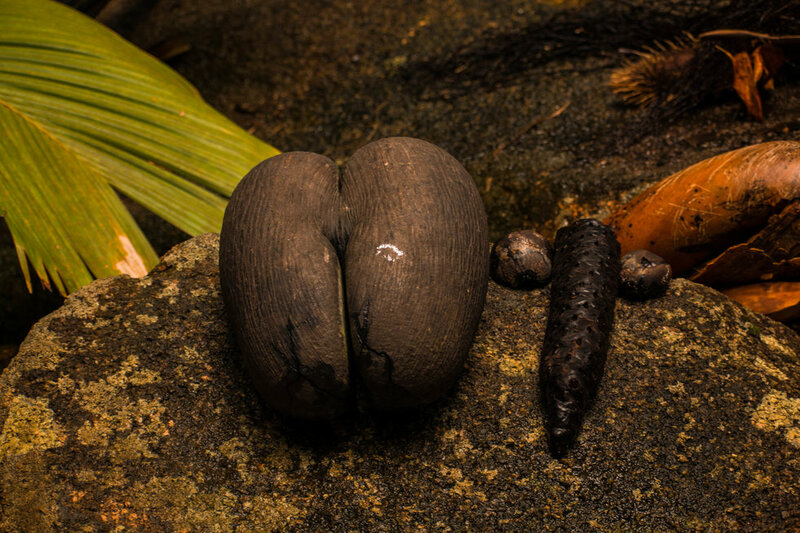 Taking Coco De Mer illegally could lead to a heavy fine and detainment in this country. The official/local currency of Seychelles is Seychellois Rupees, which is the widespread currency used here. A few places do accept Credit/Debit Cards or even Euros but most local markets and buses only accept the local currency. So, be sure to have some whenever you are planning to explore locally. If you are staying in some hotel/resort then you can use your cards to make the payment. For activities too, you can use the cards but most local establishments and accommodation places won’t have a card swiping machine. Apart from the Seychellois Rupees, a lot of accommodation and activity shops accept Euros too but again it is not too widespread here. The best thing to do would be to carry a few Euros with you along with an International Visa card. You can use your Visa card to withdraw the local currency whenever you want. There are many ATMs throughout the Mahe island which will dispense the local currency. If you want an ATM to withdraw money from your Visa card, then look out for Barclays or Seychelles Commercial Bank ATM. If you have an Airtel Sim card then you can easily use it here by getting International package available for your plan. However, remember that it will turn out to be a little costly in the long run. If you prefer to get a local SIM card then you have two options: Cable Network and Airtel. Both of these network providers offer you good connectivity in Seychelles but Airtel is going to cost you more than the Cable Network. Also, you will find more shops for recharging your Cable Network sim card than the Airtel one. So, keep this in mind while buying a Sim card for yourself. You have two options here. You can either buy a Sim card at the airport itself or you can reach Victoria and then purchase from a local shop. To reach Victoria, you will get a bus from just outside the Airport so you don’t really need to make any calls during this time. Also, Victoria Bus Terminal has Free WiFi service so once you reach there, you can check your location or find the nearest Sim card shop for yourself. Internet charges are really high in Seychelles so if you can, avoid purchasing a Sim Card and a Data pack here. If you are staying in a hotel/resort/hostel which offers Free WiFi then make use of it. Else, you can also use the Free WiFi service at Victoria Terminal. You won’t find many Free WiFi places in Seychelles so plan ahead if you really need the Internet for your trip. Creole is the local cuisine of Seychelles which usually comprises a curry and rice. Apart from the local cuisine, you will find chips and meat options in abundance here. If you are a non-vegetarian then do try the Octopus Curry here, it is lip-smacking delicious. If you are looking for the cheapest and authentic food option in Mahe, then takeaways are your best friend. It will cost you anything between 30-60 Seychellois Rupees per meal and will be quite filling as well. You will find curries, chicken pieces, sausages, chips, etc. in these takeaways. Every meal in a restaurant will cost you a minimum of 500-1000 Seychellois Rupees which can be really costly if you are on a tight budget. However, you will find all kinds of options here, from steaks to Chinese, so you can certainly check them out if you want. Another convenient and cheap option for food would be the snack Shops where you will get rolls, sandwiches, etc. These snacks would cost you somewhere about 20-30 Seychellois Rupees, depending on the dish. If you like cooking then preparing your own food is certainly the best option in Mahe. You will find all kinds of accommodation options, from really cheap to extremely expensive. So, it is up to you the kind of place that you would like to stay in. You will find numerous hotels and resorts here which will easily cost you 100-150 Euros for a night but will also offer you free breakfast and WiFi options. If you are looking for a budget trip then I would advise you to stay away from such hotels and resorts. One of the best ways to save money in Mahe is by finding a Couchsurfing host who will let you stay at their place for free. This will easily help you save a couple hundreds of Euros which you can then later use for some water activities. If you are unsuccessful in securing a Couchsurfing host, then booking a self-catering apartment is the next best option. Many of these places serve free breakfast and cost just 30-35 Euros for a night. Another great and cheap accommodation option would be a bed in a hostel dorm. It is likely to cost you somewhere about 30-40 Euros for a night and might also give you the option of cooking your own food here. Here is a list of places that you should definitely check out when visiting Mahe for a few days. This is the main hub of Mahe and from here, you will get a bus to all the directions of the island. Apart from being the main hub, here you will also come across the Central Market, Clocktower, Jetty Area, and many foods and shopping establishments. It would take you barely half a day to cover the entire area on foot and learn more about this amazing island. One of my dearest spots in Mahe is the Sunset Beach which lies in the Northern part of Mahe. This is a quiet and relatively empty beach and you get to watch the most gorgeous sunset from here. If you ever visit Mahe, make sure that you watch at least one sunset from this beach. To reach this place, you need to hike for an hour but the entire effort is completely worth it. The view from the top of this trail is completely mind-blowing and is bound to take your breath away. Important Note: There is one bus to the start of the trail in every 30-40 minutes so be careful. This is not a widely used route so you might find it hard to get buses quickly. Another great viewpoint that you should check out is the Mission Lodge Viewpoint. From here, you can see the other mountains and the island coastline which looks really mesmerizing. Personally, I spent 3-4 hours here, just taking in the view and enjoying my surroundings. 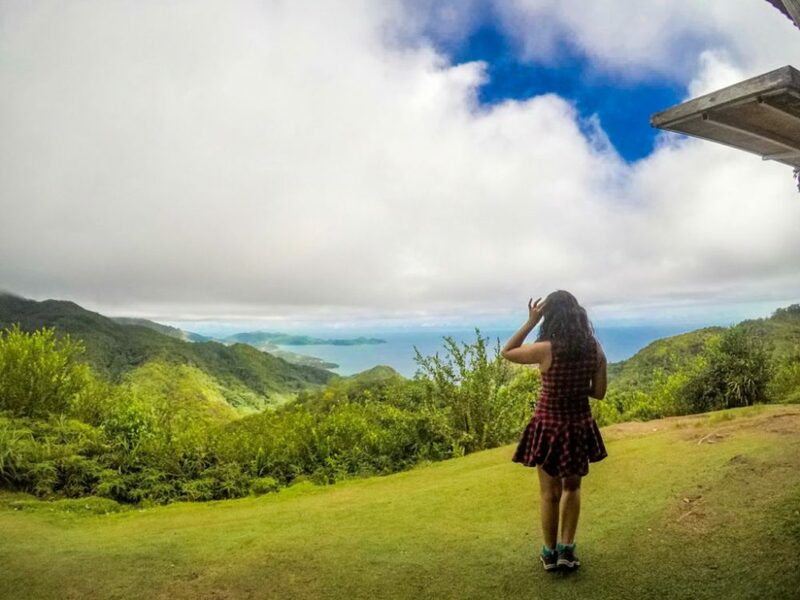 Yet another great viewpoint that you should check out is the La Misere Viewpoint, from where you can see the beautiful Eden islands and the entire eastern coastline. You can also see other smaller private islands from this spot and at night, you can see the entire Mahe lit up with lights from here. As I said earlier, North Mahe is an untouched spot and consists of many amazing viewpoints and beaches. One such place is the Nord East Beach where you will find only locals picnicking with their families. Another great beach, which has a swing too, is the Port Launay beach. This is not a public beach and has a really popular resort nearby so you won’t find a lot of people here, which makes this a great place to visit. Also, you can go on boat rides here and indulge in a few water activities like banana boat rides. This is one of the most touristy places in Mahe and home to many popular resorts and hotels on this island. This is why the beach here will be populated with a lot of tourists. However, if a crowded beach is not big on your list then you should visit this place to see the Street market or to check out the Scuba Diving centers. Apart from the beaches, there is actually a lot of things that you can do on this island which are really fun and entertaining. Yes, this island offers several amazing hiking trails to the visitors which are so worth the effort. You can hike to the highest point of Mahe or you can hike to a nice waterfall to relax for a while, it is completely up to you. Most of these trails are clearly marked so you don’t even need to take a guide with you. Just take your energy bars, a bottle of water, and some shades and sunscreen and you are all set to explore. It goes without saying that Seychelles is quite popular for water sports due to the clear water and the abundance of underwater life. So, a great idea would be to try Scuba Diving or Snorkeling here. There are a few diving centers where you can take the Intro Dive Course for 80-100 Euros. One of the best ways to explore the entire Mahe island is by taking the buses and just observing the surroundings. Since it costs only 7 Seychellois Rupees for the entire bus route, you don’t have to worry about spending too much and you can just bookmark the places that you would wish to explore properly. If you are looking for some quiet time on Mahe, then heading to Beau Vallon is the last thing that you should do. Instead, check out the Northern beaches which are gorgeous but more isolated and make a perfect picnic spot for people who are looking for a little quiet and peace. If you really want to see the real Mahe then you have to make a few local friends to take you around. 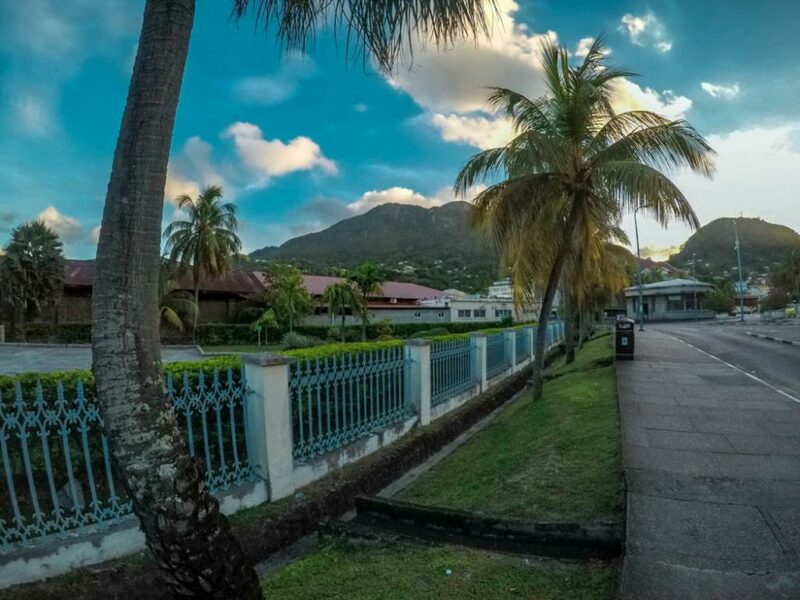 They will show you the happening and the most gorgeous spots in Mahe and will also invite you to some amazing food gatherings where you get to taste the authentic Creole cuisine. Although Mahe only has one official clubbing area, there are several ways you can party here during the weekend. You can either hit the open bar or the sole club of Mahe. Apart from that, visiting Galle Face at night is also a great way to check out how the locals chill and party here during the weekends. Plus, you can also get the feel of a Casino here and who knows, you might end up winning a lottery in the process! 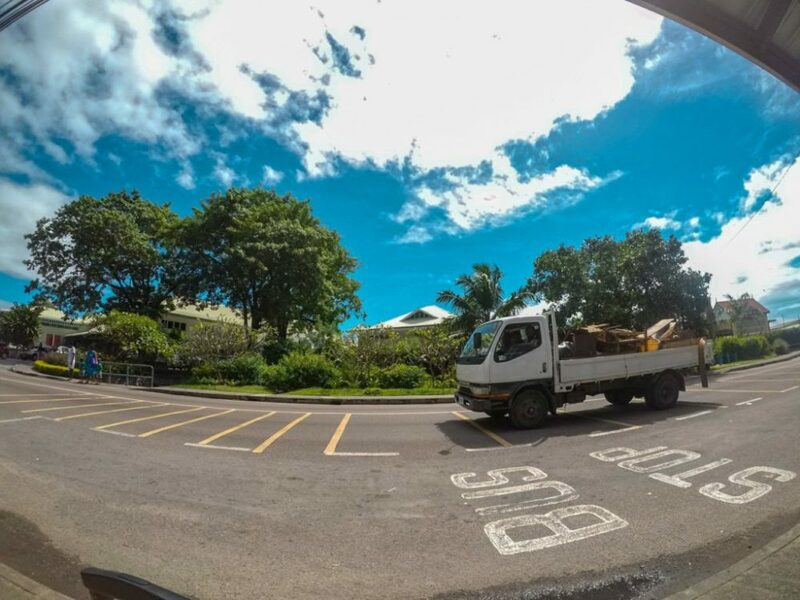 Traveling around Mahe is quite easy and cheap, especially if you are cool with public transport. You can also go for a road tripin Mahe by renting a car here. The most effective and convenient mode of transportation in Mahebis via public buses. You have a bus going in every direction which will cost you 7 Seychellois Rupees for every bus ride. You can get the entire bus schedule and route information from the official Seychelles Public Transportation website. Buses don’t stop at every bus stop so, if you want to stop the bus then you have to press the buzzer/bell button to make it stop. Apart from buses, you can also hire cabs or taxis if want to cover a lot of places in a day. This will be obviously more expensive but will offer you more comfort and convenience. You can hire a cab from the airport or you can simply contact a taxi agency for packages. Another great way to travel in Mahe is through hitchhiking. People are super friendly and helpful here so you will find that a lot of people will readily give you a lift if you so desire. Always make sure that you understand the route and the bus number before getting on a bus. You can always ask the locals for help if you don’t understand the bus route or don’t know how often a bus will arrive. Frankly, the SPTC bus schedule helped me a lot in planning my days in Mahe. As mentioned before, buses don’t stop at every stop unless someone is waiting to get on the bus. So, if you wish to get down at a bus you will need to press the buzzer so that the driver can stop at the next available bus stop. If you don’t find any button or buzzer, then holler for the driver to stop. Since Seychelles is situated at the Equator, the sun is really harsh over here. So, unless you want skin burn, I would advise you to apply a liberal amount of sunscreen every day. If you are visiting Mahe during monsoon season, i.e., from May to July, then you better carry a raincoat/umbrella. This is because the weather becomes quite unpredictable and it could suddenly start raining after a sunny day. Water bottles in most grocery stores will be expensive so avoid buying it from here. Instead, you can purchase the water from a takeaway shop. Like I said before, Internet packs are really expensive here so avoid purchasing them. If you can stay without internet for most of the day, then skipping Internet packs is a great option. You can always use free WiFi at Victoria Bus Terminal for daily home calls and stuff.